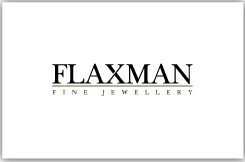 Flaxman Fine Jewellery are proud to offer an exclusive bespoke service for the more discerning individual. Our comprehensive design service is tailored to your requirements. With our guidance and help its easy to create the look you have always wanted, as well as adapt existing pieces that lie neglected. Our computer generated design system ‘CAD’ enables us to give you accurate visual representations of your designs before they are handcrafted by our London based workshop. Our specialist jewellers have a wealth of experience and expertise in both antique and modern jewellery.